• The Ear pads can be taken out for a cleaning. If the Ear Pads is fall off easily, please feel free to contact EasySMX Customer Service to ask for a correct way to install it. 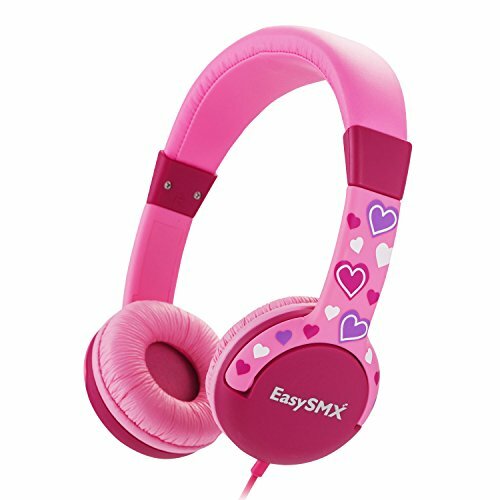 • The EasySMX Comfortable Wired Volume Limiting Kids Safe head phones are lightweight, have soft ear pads, an adjustable headband so your child can listen with comfort. • 12-month warranty for quality-related issues. [CHILDREN- FRIENDLY MATERAIL]: EasySMX Kids headphone is specially designed for children ages at 3 and up. It is equipped with high quality polycarbonate headband, made with food-grade material and tangle-free cords, soft touch, environment-friendly and children-friendly material, approved by CPSIA,FCC. If you have any questions about this product by EasySMX, contact us by completing and submitting the form below. If you are looking for a specif part number, please include it with your message.